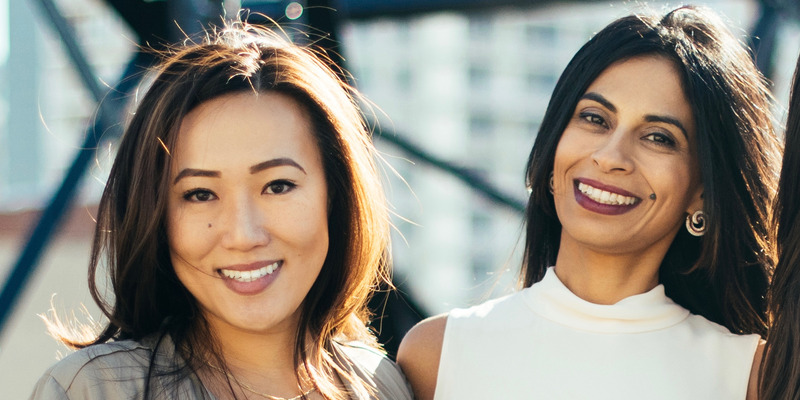 F3F3 partners Sutian Dong and Anu Duggal have gathered a network of female entrepreneurs with their new Venture Partner Program. New York-based venture firm Female Founders Fund (F3) has founded a new program to mentor and advise female entrepreneurs in cities throughout the US. Among the entrepreneurs participating is Zola co-founder Shan-Lyn Ma, who says that her wedding company at first struggled to spark interest among the predominantly male investment scene. When Zola co-founder Shan-Lyn Ma first began pitching her idea for a one-stop wedding site to investors, she says they were mostly unimpressed. Ma said she was amazed by his response: “It struck me as a little crazy. You would never say that of any other tech service from 20 years ago. It seemed so obvious that people today would want to benefit from great design in weddings as they do in every aspect of life,” she said. For Ma, securing funding early on was an uphill battle. Many investors didn’t seem to see the point of an efficient, customisable wedding registry, she says. It’s understandable, said Ma, that her company may not have initially resonated with the average venture capitalist. ZolaZola co-founder Shan Lyn Ma at first struggled to get funding for her wedding company. Looking back, Ma estimates that three out of every four investors she pitched turned Zola down. Five years later, however, some of those same investors might be experiencing regret. Today, Zola is one of the top websites used by millennial couples to plan their weddings . It’s also among the fastest-growing wedding companies in the US, and has plans to take on the $US72 billion wedding market. In their latest funding round the company raised $US100 million from investors including Lightspeed, Goldman Sachs, and Thrive Capital. On this particular round the tables were turned: “It’s a very different ratio now,” said Ma of the investors interested in funding Zola. Now, Ma is hoping to impart some of the lessons she learned from her early days pitching her company to other female founders. Ma is just one among a group of high-profile female entrepreneurs gathered together by New York-based venture firm Female Founders Fund (F3) for its new Venture Partner Program. The program’s aim is to bring together a network of business-savvy women to take on the disproportionately male entrepreneurial landscape. F3 partner Sutian Dong says that the program’s aim is to create increased exposure for female founders and provide access to a network of of investors, advisors, and mentors. The programhas headed up several female entrepreneurial communities in Boston, L.A., San Francisco, and New York, with mentors including Stich Fix founder Katrina Lake, Care.com founder Sheila Lirio Marcelo, Gixo co-founder Selina Tobaccowala, andTala founder Shivani Siroya.